The Idea of the West in conjunction with Ansel Adams: The Masterworks at the Columbus Museum. The Idea of the West Roundtable Oct. 25, 6-8 PM The Columbus Museum, Columbus, GA. Please join us as we engage with three esteemed contemporary photographers—David Taylor, Jeremiah Ariaz, and Will Wilson—who will discuss their projects on view at The Columbus Museum in the exhibition The Idea of West. Director of Curatorial Affairs Jonathan Frederick Walz and Curator of History Rebecca Bush will interview the artists, with time for questions from the public. LSU hosts SPE South Central Regional Conference Material + Meaning. The three day event brings 20 speakers from across the country in addition to 4 exhibitions in Baton Rouge. Ariaz, Co-chair. Ariaz receives a 2018 Community Partnership Grant ($3000) from the New Orleans Jazz & Heritage Festival and Foundation. Continuity of Context: Five Artists in Dialogue with Cheekwood’s Collection, Cheekwood Estate & Gardens, Nashville, TN. Louisiana Trail Riders Release Party, September 8, 2018. Zydeco Breakfast at Buck & Johnny's with musicians Chris Ardoin & NuStep Zydeco. Panel discussion with trail riders and Jeremiah Ariaz moderated by film director Connie Castille at the Teche Center for the Arts, Breaux Bridge, LA. Louisiana Trail Ridersbook launch at Billy Reid’s Shindig 10 in Florence, AL. Shindig began ten years ago to celebrate the best in food, fashion, music, and art. This year's guests include St. Paul & the Broken Bones, Joshua Hedley, Kacey Musgraves, The Texas Gentlemen, Classic Moto, Butch Anthony, and many more. Selected Press (print, television, radio, web) for Louisiana Trail Riders. 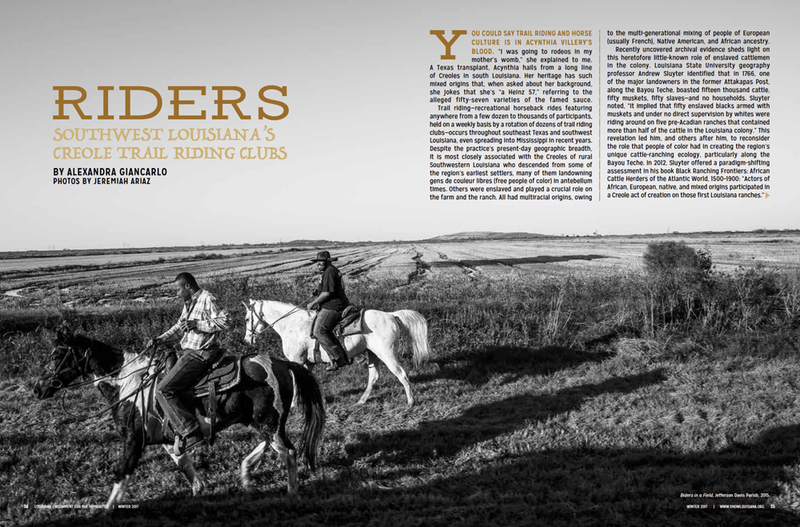 Louisiana Trail Riders from UL Press. Center for Documentary Studies at Duke University, Durham, NC. Lecture, exhibition opening, and book signing at Center for Documentary Studies at Duke University, Durham, NC. Ariaz receives the Michael P. Smith Memorial Award for Documentary Photography. Louisiana Endowment for Humanities 2018 Award Recipients, Bright Lights Awards Dinner, City Park of New Orleans. Ariaz receives ATLAS Award ($30,000) from Board of Regents, State of Louisiana. 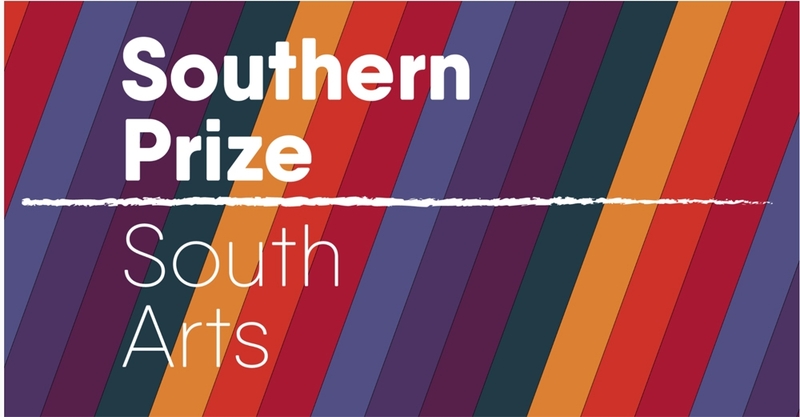 Ariaz named the 2018 State Fellow for Louisiana ($5000) receives the Southern Prize finalist award ($10,000) and from SOUTH ARTS. South Arts Award Ceremony, Contemporary Art Center, New Orleans, LA, April, 2018. Plenary Speaker at the Deep South in the Global South Conference, Lafayette, LA, 2018. Ariaz named the 2018 State Fellow for Louisiana from SOUTH ARTS, the organization advancing Southern vitality through the arts. “Creoles du Monde" at the West Baton Rouge Museum. “Creoles du Monde" on view at the West Baton Rouge Museum explores the Creole world and culture from Africa and Europe to the Americas. Creoles du Monde celebrates the vibrant culture of Creole people through the eyes of the historians, collectors, artists, and photographers who have captured a rich history in textiles, rare paintings and photographs. 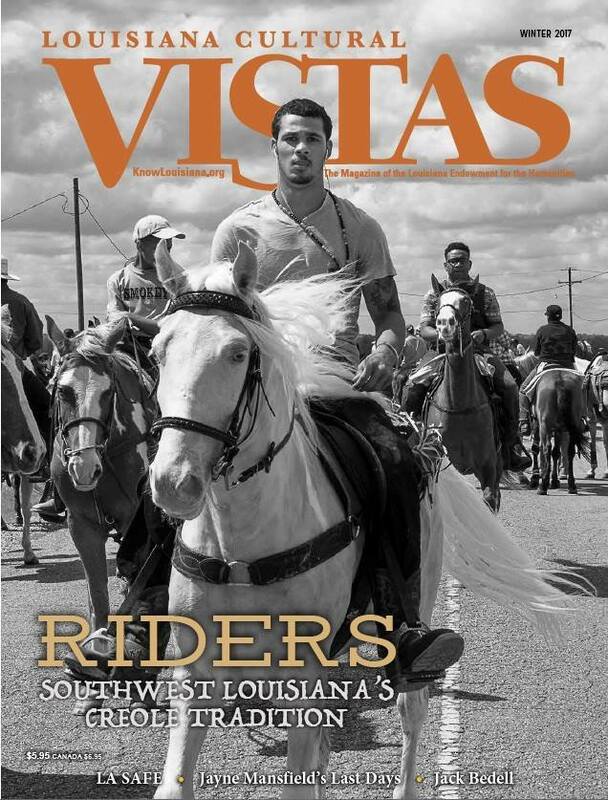 Louisiana Trail Riders, is the featured cover story of the recently released Louisiana Cultural Vistas winter issue. The photographs are accompanied by a terrific essay by Alexandra Giancarlo. Workshop with the Essex Art Center in Lawrence, Massachusetts. Speaking about my work Staging the West at this year’s Symphony In The Flint Hills in Kansas. The theme of the event is the Chisholm Trail. This year marks the 150th anniversary of the famous trail that brought cattle from Texas to the rail heads in Kansas. The event which attracts approximately 7,000 people was sold out. I’m excited to have an essay, Staging the West along with my photographs of Germans performing ‘cowboy and Indian’ stories published in the 2017 Field Journal. The essay chronicles my work in Germany as well as my family of German immigrants that homesteaded in Kansas and founded Bunker Hill. Billy Reid's SHINDIG, Florence, AL. 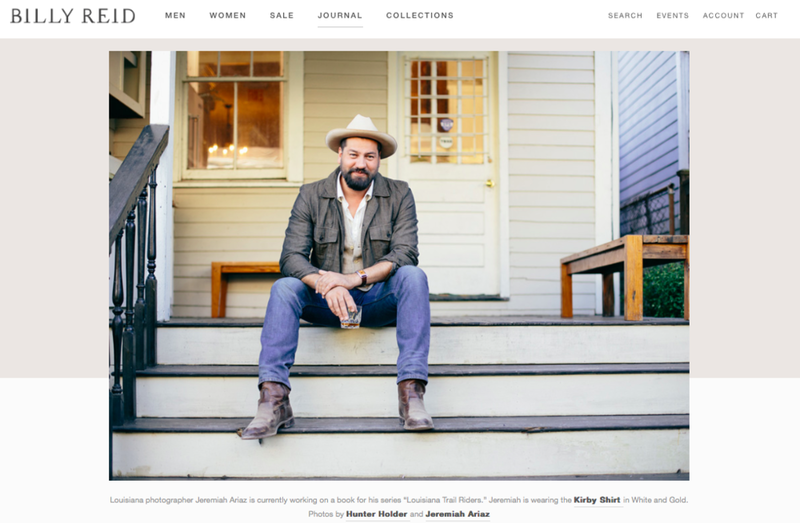 I couldn’t be more pleased that Billy Reid, who hails from Amite, Louisiana, will feature a selection of twelve photographs at a series of in-store events and at his annual SHINDIG held in Florence, AL. (Aug 26-28) Billy Reid is a designer based in Florence, AL. He’s won numerous awards including the 2001/2012 CFDA Men’s Designer of the year. His work celebrates fine craftsmanship and is manufactured in the textile mills of the south. If I’ve been dressing better in the last few years, he’s to thank. As a fan of both his clothing and business practices, I’ve wanted to attend the SHINDIG for years and now am delighted to be a participant alongside folks like chef John Besh, musicians John Paul White, the Dawes, The Watson Twins, Tony Joe White, and a host of other inspiring people. In anticipation of SHINDIG, the photographs will be shown at a variety of Billy Reid events. If you’re in the North, head to Billy Reid in Chicago this Friday, 6-8 PM, to celebrate the “Road To Shindig” with my photographs along with Blackberry Farm Brewery's Palomino craft beer, and bites by The Publican. If you’re in the South, on August 18, visit Billy Reid in Atlanta (6-8 PM) for an event with my photographs along with Blackberry Farm, Brewery's Palomino craft beer, and bites by Chef Adam Evans. I’ll probably never again have such good food and drinks at an opening. Also, look for an upcoming interview with Billy Reid’s Journal. I returned to Tucumcari to continue photographing my nearly-decade long project in the New Mexico community. The below image is a burning landscape, presumably started by a lightning strike, north of town. Un-Staging the West: Reality vs. Representation. A panel discussion between members of the local Native American and ranching communities. Hosted by artist Jeremiah Ariaz. With Patty Reece and Hank at the Volland Store for the opening of Staging the West. I am fortunate to bring my exhibition, “Staging the West” to the Volland Store. The photographs come from two projects that explore the tension between the reality and mythology of the American West. The images were made in the Almeria region of Spain, where many “Spaghetti Western” films were made and in locations across Germany where “Indianers” dress in Native American costumes and perform theatrical productions of Western stories. The Volland Store is the perfect location for the work. It is a location in Kansas largely settled by German immigrants and one that still has both a Native American and cowboy presence. The building originally opened as a general store in 1913. It sits beside the railroad tracks, nearly nine miles from the nearest town of Alma. After sitting abandon for nearly fifty years the property was purchased and last year opened as an art gallery and event space. It is a truly unique and beautiful location in the Flint Hills. The exhibition will run until September 2. I will remain in the area as an artist in residence to begin work on a new project. 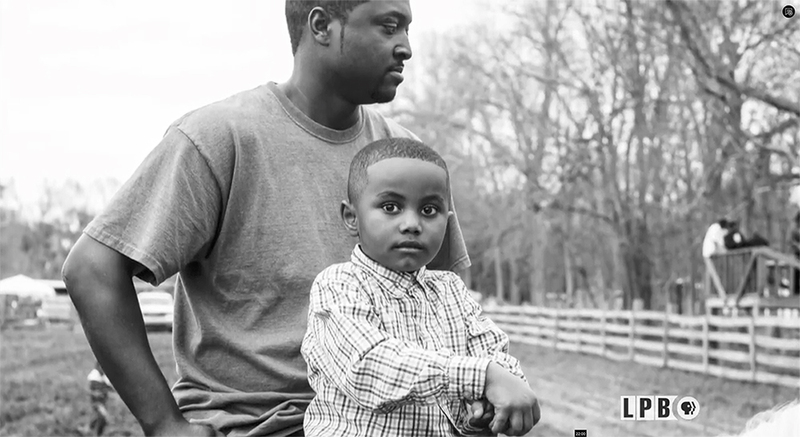 I’m excited to announce I have been selected as a finalist for two documentary awards, the Michael P. Smith Fund for Documentary Photography and the Center for Documentary Studies Essay Prize in Photography, for my on-going project, “Louisiana Trail Riders”. Congratulations to MPS winner, Annie Flanagan for her project, “Deafening Sound” and CDS winner, Jessica Eve Rattner for her essay, “House of Charm”. "Standpoints," an exhibition curated by Britt Thomas that features my work “Staging the West” from Germany, opens March 11 at Lawndale Art Center in Houston, TX. In conjunction with FotoFest 2016 Biennial. “Standpoints” a three-person exhibition curated by Britt Thomas at the Lawndale Art Center in Houston, TX. In conjunction with the FotoFest International, 2016. 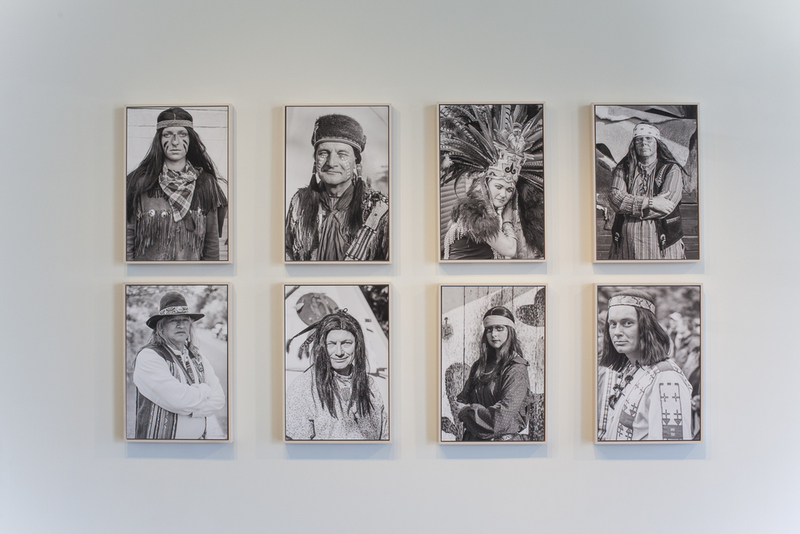 Promised Land, exhibition view, Acadiana Center for the Arts. Promised Land explores how one’s perception of “home” shapes our personal vision of the world. The various artists included in the exhibition use different mechanisms of storytelling: identity, opportunity, family, security, prosperity; which are in turn contrasted with potential vulnerability and loss. 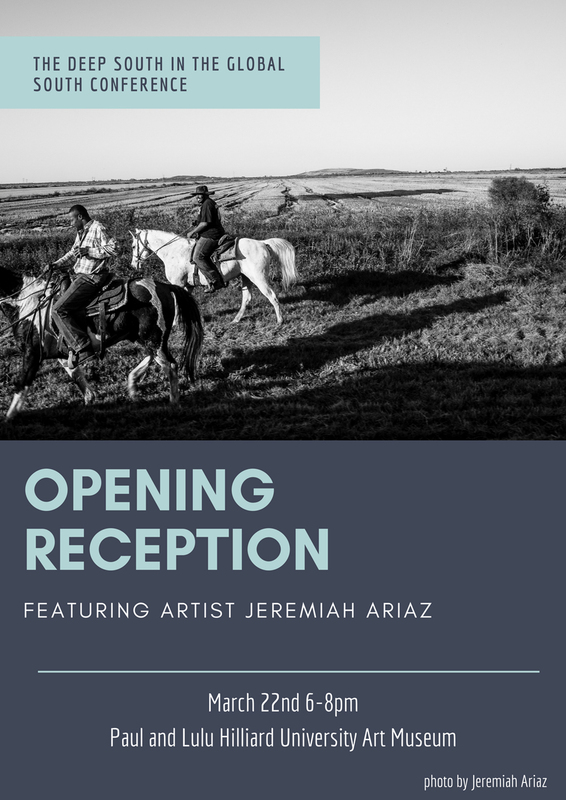 Jeremiah Ariaz’s photos speak to the “wild west” and its renowned opportunity, as well as, capture its evaporated dreams as ghost towns supplant prosperity, teepees sprouting from barren isolation. Instagram is for the everyday, photographs made from my phone. Facebook has been a platform to occasionally share personal photographs with friends. My website remains the place for a curated selection of my professional work. I’ve decided to create a space to share things that don’t fit my other on-line platforms. My new Tumblr page – Red Stick Rambler - will be a place to share found imagery such as vernacular photographs and postcards, favorite objects from my home, collected artwork, material from my bookshelves including photo albums I obsessively made for years. I’ll also share ‘mix tapes’ I’ve made even more obsessively. The blog will be a key of sorts to my home. I’ll share things I’m inspired by and that have shaped my aesthetic sensibilities. Perhaps you’ll be inspired too. Finally, I need to give a shout-out and perhaps an apology for the name. The Red Stick Ramblers were a terrific band from Baton Rouge that disbanded in 2013. I love the name and since they are no longer performing, I’m borrowing it in the singular. Their music was a blend of Cajun, Country, Western Swing, and Ragtime Jazz. They borrowed heavily from their influences but created something uniquely their own. I hope this blog will do the same. Jeremiah Ariaz, Western Leone #15, film studio, Spain, 2012 (left) childhood photograph of artist, Jeremiah Ariaz, courtesy of his mother. 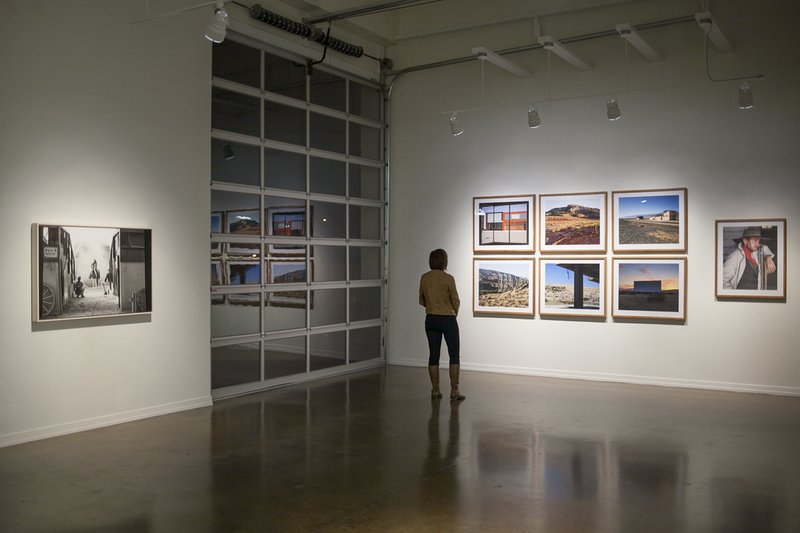 Jonathan Blaustein of aPhotoEditor shares his picks for the best of Review Santa Fe. In route to Review Santa Fe. Home from 12,000 mile moto-trip to Alaska. Matanuska Glacier, AK, 2014.